The best way to get to know a community is by scheduling a tour. See the facilities, meet the staff and residents, and get a feel first hand what it's like to live at Cardinal Court Alzheimer's Special Care Center Memory Care. 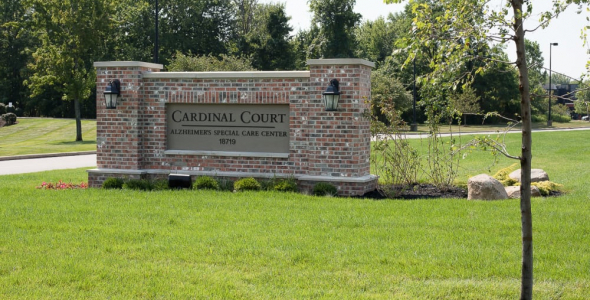 Cardinal Court is an assisted living community focused on Alzheimer's and Dementia care. Our secure community is one level with three styles of apartments, private, private with shared bathroom, and companion suites. Cardinal Court has two beautiful secured courtyards, two dining rooms, and two cozy living rooms. All of our caregivers receive specialized Alzheimer's and dementia care training, and are available 24 hours. Meaningful Moments allow us to know and understand the life story of our residents. These life stories help us engage with our residents through conversations, activities and daily needs.